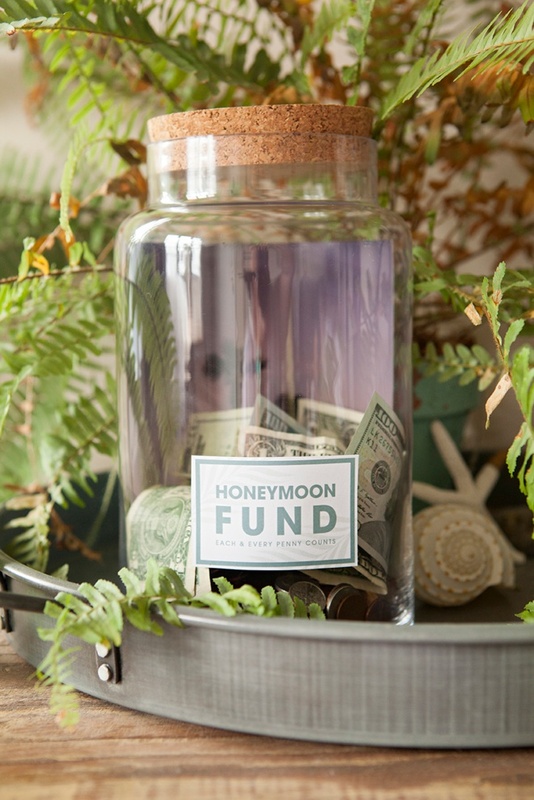 Make Your Own "Fund" Jar With 4 Different Free Labels! 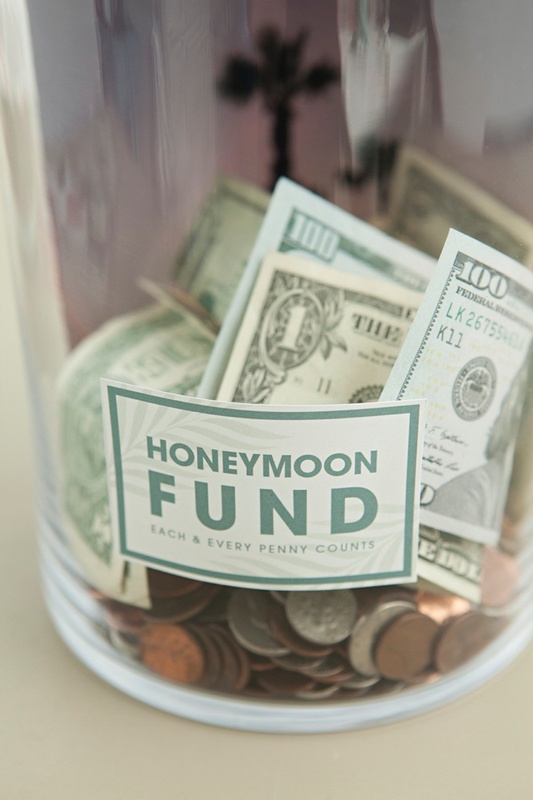 Saving for something special can be a bit of a drag until you are able to buy that thing you’ve been dreaming about, and then since you have the money it’s glorious! Today’s simple DIY project will hopefully make the action of saving a bit more enjoyable while doing it in true DIY style! 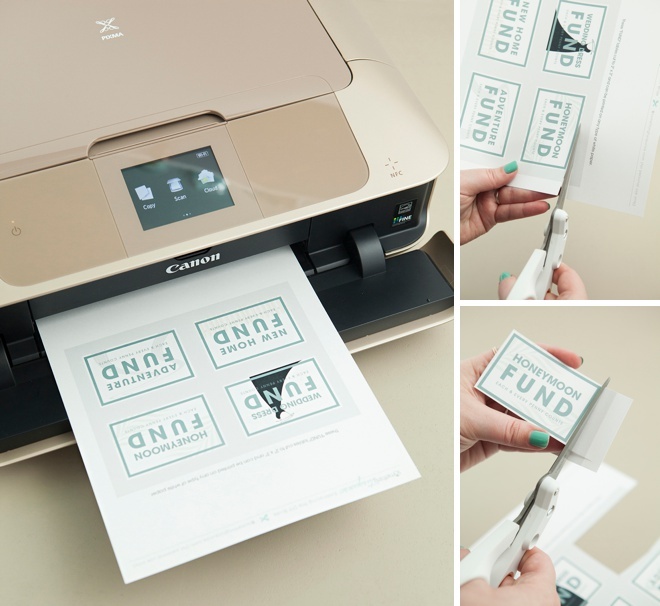 You might have heard, that I’ve partnered with Canon to bring you unique printable projects each month and this is one of them! 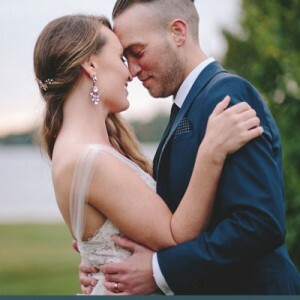 My printers are like my left hand because my creative options are endless when using them and I hope to inspire your personal home printing creativity through these posts. 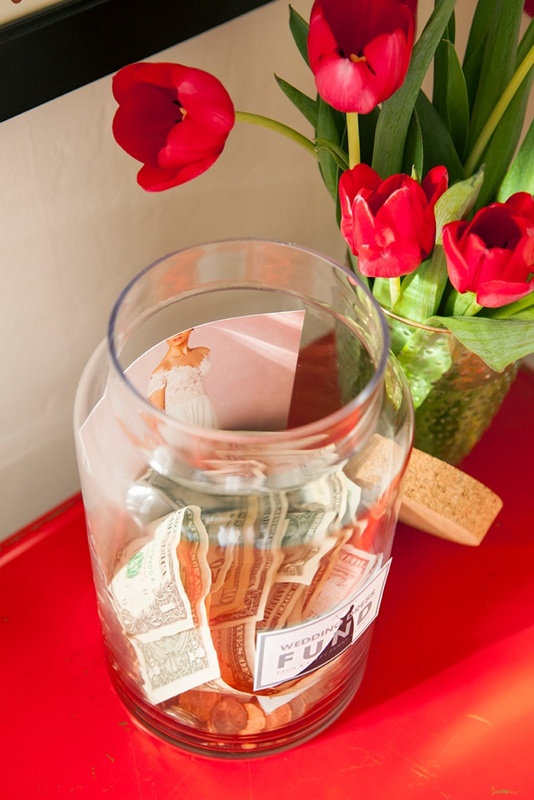 Print a pretty photo and my cute labels to make and awesome Savings Fund Jar that doubles as an interactive decor piece. In no time you’ll be taking that cash to the bank with a huge smile on your face! The only question is, what special event will you be saving for? 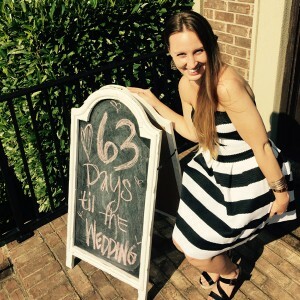 My free printable designs at the end of the post! You guys know how important it is for me to use supplies that you can all buy online. It was my mistake that these exact glass jars which I fell in love with and purchased at my local Michaels aren’t available online yet. 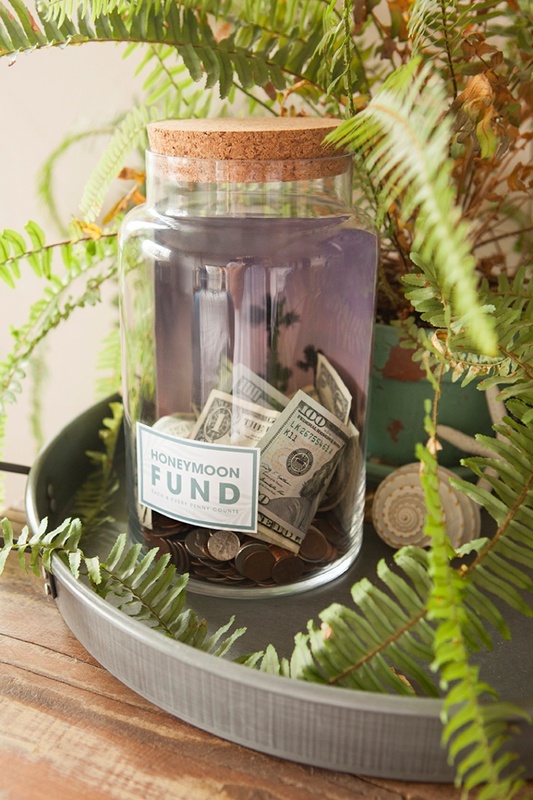 I will update this post when they are… but I’m sure you will be able to find awesome glass jars in the meantime that will make your project look even more fabulous! 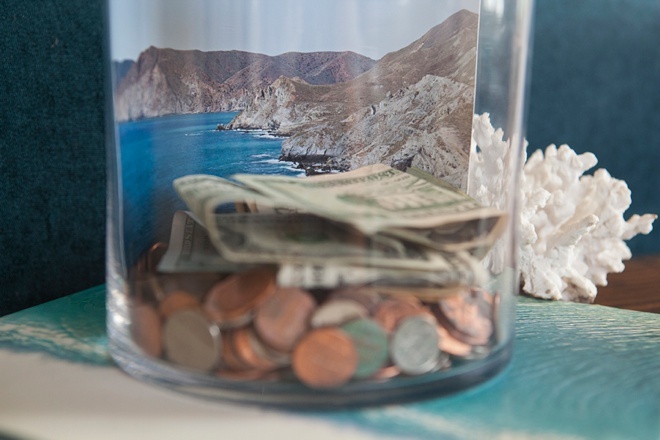 Whether you are saving for your wedding dress, honeymoon, a new home or a special adventure – choose a photo that will pump you up for saving and print it! 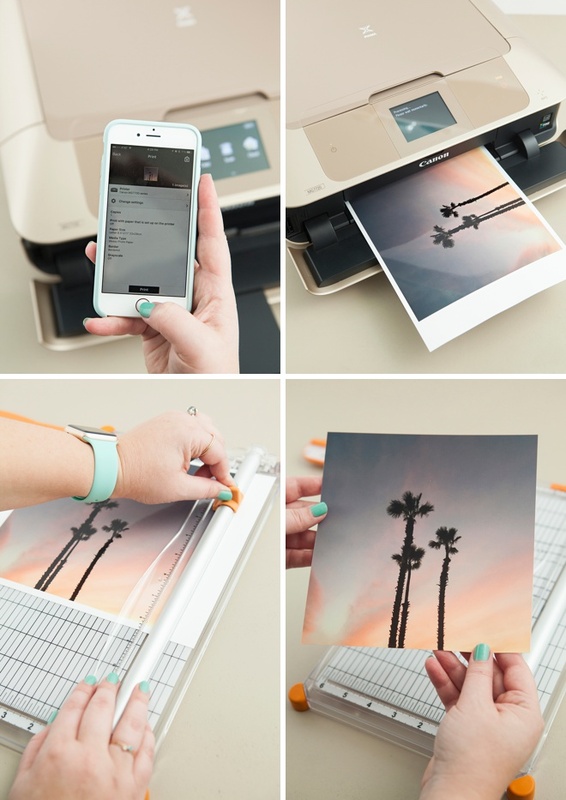 The PIXMA MG7720 is a wireless all-in-one printer that makes it super easy to print photos right from your phone! It comes in red, black, white and this gorgeous gold color that I love! 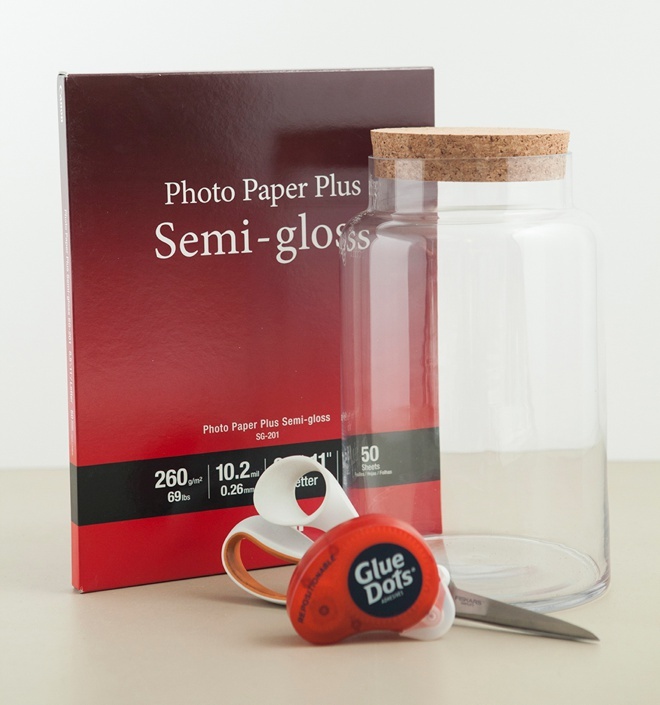 Next, trim your photo down to fit inside the glass jar you choose using a paper trimmer. 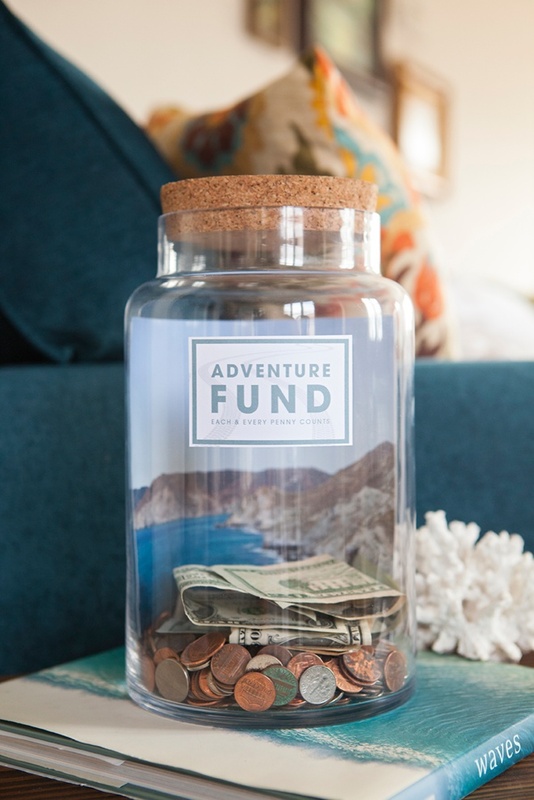 At the end of the post you can download my free “fund” jar labels, I’ve created 4 different styles so that once you are finished saving for one special thing – you can quickly swap the jar style into saving for something new! 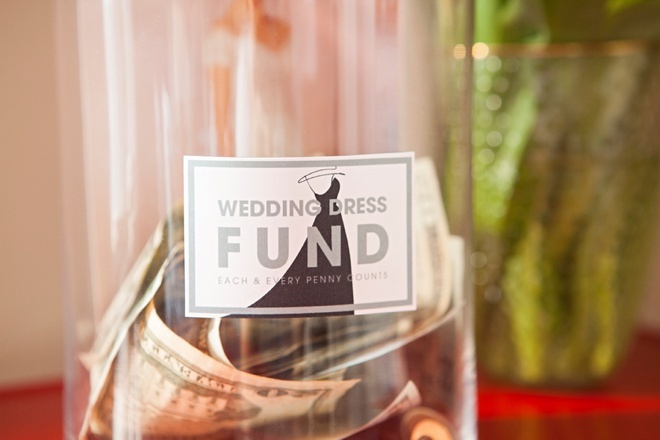 Print them onto 8.5″ x 11″ photo paper or white cardstock and then cut out using scissors. 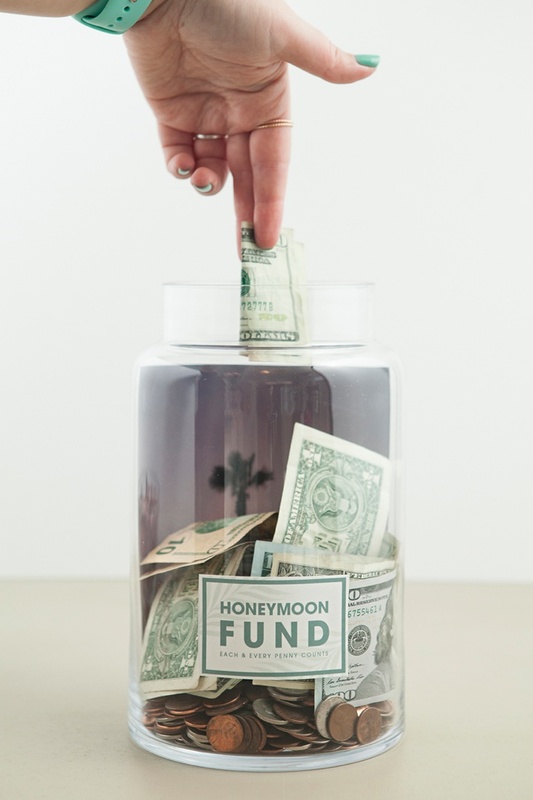 Once you have all your fund jar elements it’s time to assemble! 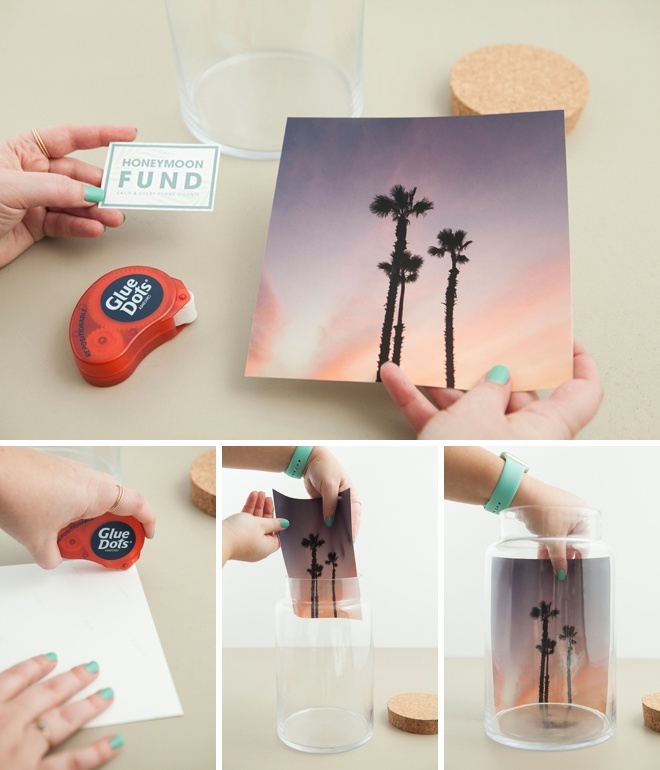 Use Glue Dots to hold the photo print onto the back of the glass jar. 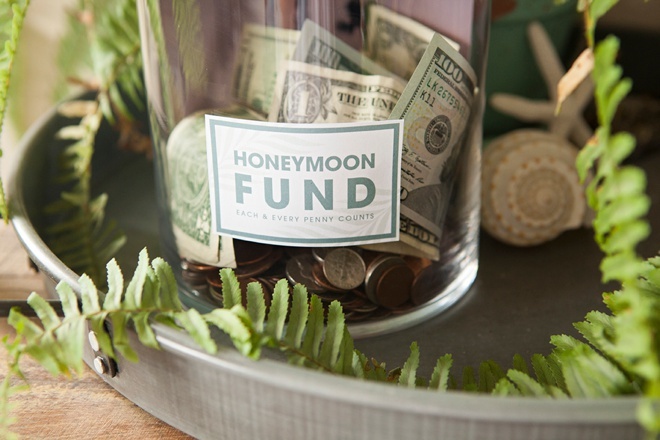 Add the label onto the front of your jar using Glue Dots or your favorite craft adhesive. 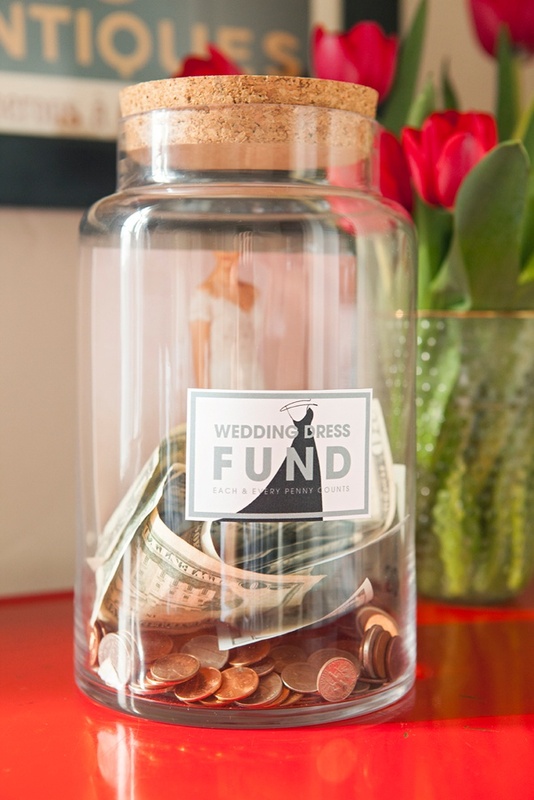 These jars are so pretty that they actually look like decor pieces… and since they look so attractive you will hopefully be more inclined to SAVE! You guys know how important it is for me to use supplies that you can all buy online. It was my mistake that these exact glass jars which I fell in love with and purchased at my local Michaels aren’t available online yet. 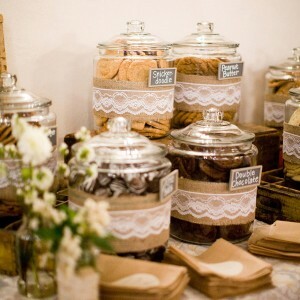 I will update this post when they are… but I’m sure you will be able to find awesome glass jars in the meantime that will make your project look even more fabulous, like the one I linked to above.